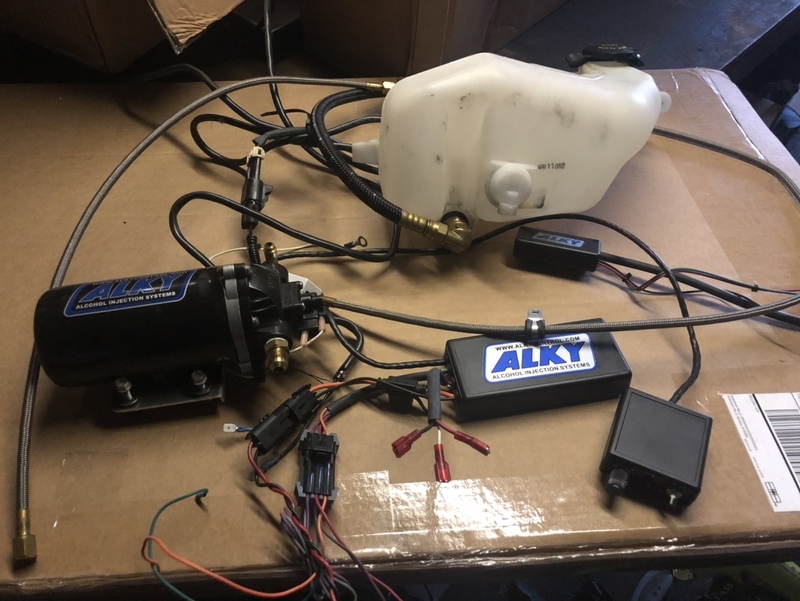 Selling a used once Alky control meth kit I had installed in my turbo 2003 turbo cobra. I used it once on the dyno then found out I needed an engine rebuild. I decided I’m going to go race gas only with the car and not meth injection. Kit was $650 when I purchased it. I have had it for 3yrs and finally decided it needed to go to someone who will make use of it. Only thing you will need is a new nozzle, the LED for tank low level and activation. That’s still installed on the car and I won’t be taking the car apart any time soon. Make an offer, want it to go to someone who will use it.